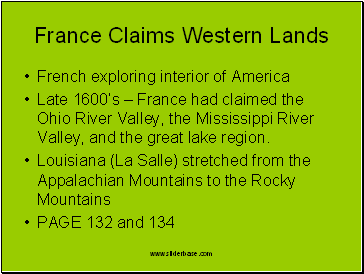 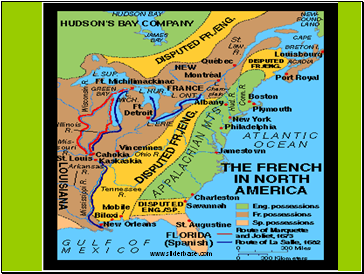 Late 1600’s – France had claimed the Ohio River Valley, the Mississippi River Valley, and the great lake region. 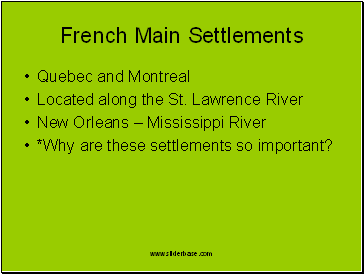 *Why are these settlements so important? 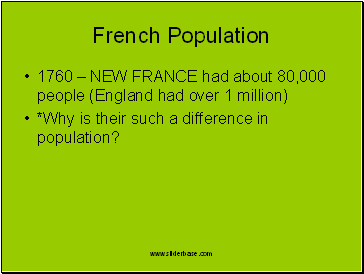 *Why is their such a difference in population? 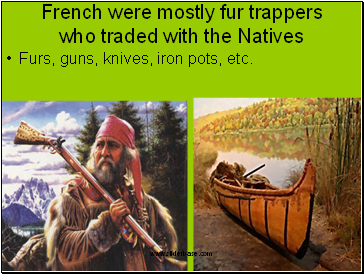 Furs, guns, knives, iron pots, etc. 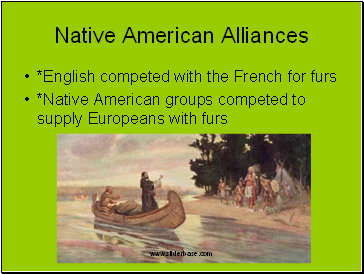 *The fur trade created economic and military rivalries and alliances between the Native Americans and the Europeans. 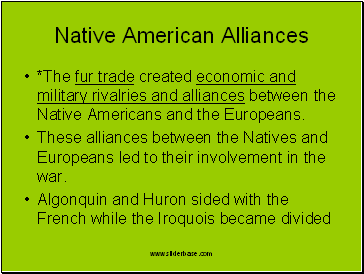 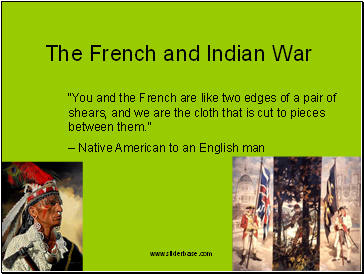 These alliances between the Natives and Europeans led to their involvement in the war. 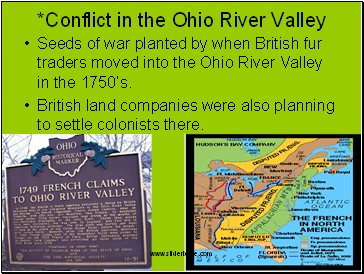 Seeds of war planted by when British fur traders moved into the Ohio River Valley in the 1750’s. 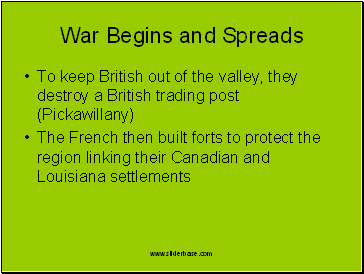 British land companies were also planning to settle colonists there.